[Police will be] putting more eyes on the adjacent Biscayne Boulevard buildings and more sharpshooters of their own inside some high-rises. Snipers will take up positions in buildings overlooking the park, allowing for clearer access should a shooter be seen. Armored rescue vehicles will be mobilized. As usual, marine patrol will guard the park’s eastern edge on Biscayne Bay. Those units will scan the area before the three-day festival begins March 23, drawing an expected 50,000 fans each day. …Much of the expanded security will focus on risks from outside and above the concert grounds. A detail of plainclothes officers will constantly check on the buildings along the boulevard. And more than 300 police officers — a full quarter of the city’s force — will patrol the event. The department even intends to use real-time “virtual policing” to keep up with anyone deemed suspicious. With the help of hundreds of cameras placed throughout downtown Miami, police can now send out instant photos among themselves to anyone they might be looking for. And they’ve assigned numbers to each building to make it easier for officers to pinpoint potential problems. 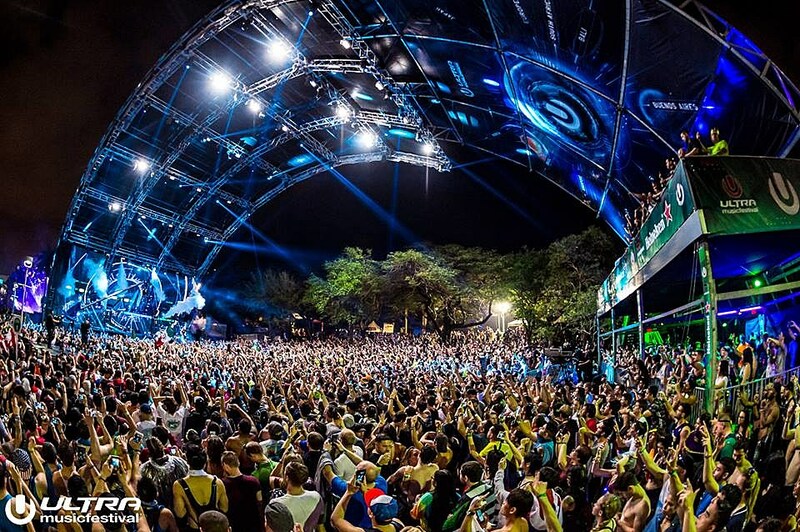 Ultra is in its 20th year and goes down today (3/23) though Sunday (3/25). The 2018 lineup includes Armin Van Burren, Axwell v Ingrosso, Carl Cox, The Chainsmokers, David Guetta, DJ Snake, Eric Prydz, Flosstradamus, J.E.S.u.S. (Jackmaster, Eats Everything, Skream, and Seth Troxler), Kaskade, Marshmello, RL Grime, Sasha and John Digweed, Steve Aoki, Tiesto, Azealia Banks, Empire of the Sun, Fischerspooner, Infected Mushroom, Tchami x Malaa, Crystal Method, GTA, Hot Since 82, Pete Tong, and more.